April is set to be one of the most exciting month for Swedish giant, IKEA. Showcasing no less than 3 new collections, I am definitely saving some pennies for a day out full of coffee, meatballs and of course shopping! Roll on April! This collection is a limited edition and only available at certain stores (Wembley, Southampton, Tottenham, Leeds and Lakeside). The collection is made from natural materials and showcases traditional handicraft, including banana fibre baskets, handwoven and hand embroidered blankets, towels and cushion covers. It doesn't get much more exciting than that in my world! Those indigo baskets are just £6 each and are definitely coming home with me! Those hammam style bath towels are just £12.50! Another limited edition collection that invites us to press the “pause” button, if only for a little while, on a daily life that’s often hectic, complicated and online. Whether to practice some yoga, tend to a plant or simply relax amongst beautiful, natural materials, the HJÄRTELIG collection is about the moments to re-focus and to revitalise ourselves. Last but not least this is my personal favourite because it celebrates imperfections. 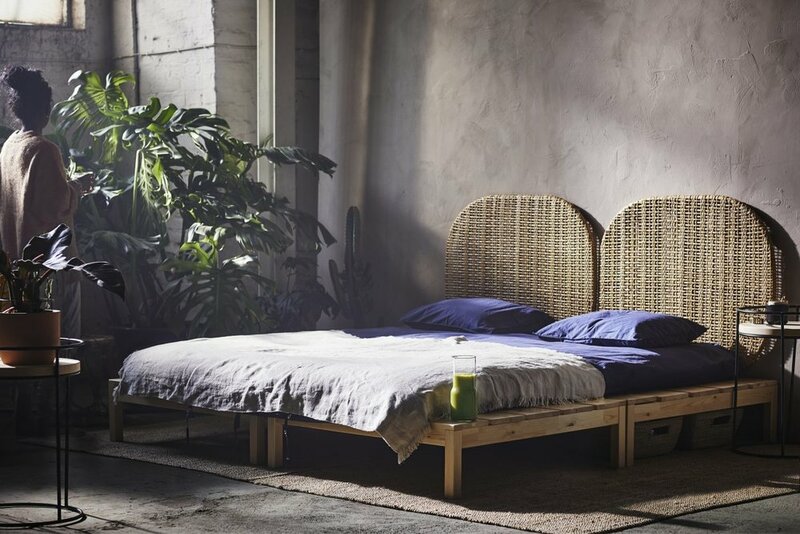 The INDUSTRIELL collection is Ikea's way of turning mass-produced uniformity on its head, by producing products with a beautifully imperfect, human quality without raising the price tag. This ambition had us completely rethink how we can make furniture. In partnership with designer Piet Hein Eek, we’ve developed new ways to work with wood, glass, ceramics and textiles. Always with the sustainable thinking that Piet has in common with the IKEA approach.